Of course, many CPS neighborhood high schools have horrible reputations. Of course, many people believe that neighborhood schools are bad and schools of choice are good. Of course, this is because of charter schools. Of course, selective enrollment high schools create a brain drain, so all of the smarter kids flee neighborhood high schools. 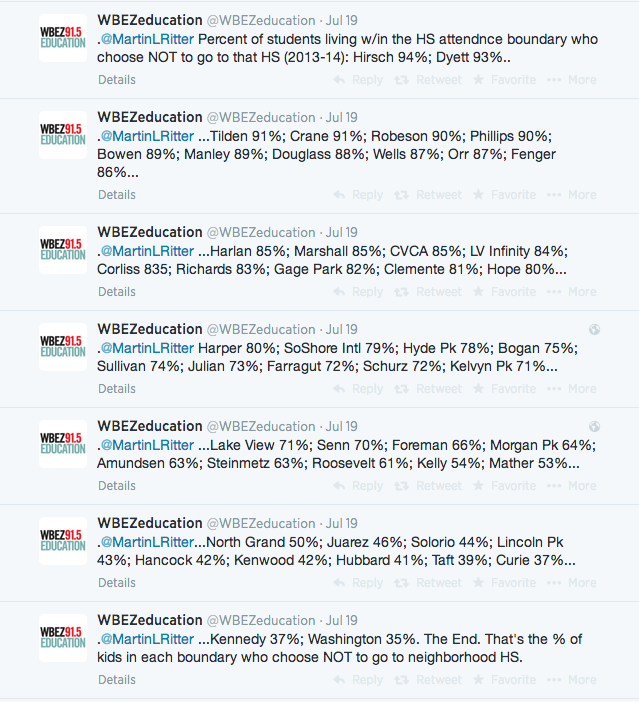 Of course, if over 20% of neighborhood students don’t attend their assigned high school, that school is horrible. But here’s why these conclusions are inaccurate and oversimplified. For many students assigned to neighborhood high schools, they need school choice because they simply do not fit in their home-assigned school. Take Farragut for example, a school in the Little Village / South Lawndale / 26th Street neighborhood. For many years, this was the only neighborhood high school option for those of us living there. U.S. census data shows that there are about 8,000 teenagers in this neighborhood. I know, I know—not all students in this zip code are assigned to Farragut. But many are. In fact, a 2007 CPS Board report recognized the overcrowding at Farragut. So if 72% of the neighborhood students do not attend it, it’s likely (in addition to other factors: gangs, reputation) that the neighborhood students do not fit in that school. Farragut would have about 3,300 students in its hallways based on the CPS data of students living in that attendance area. The overcrowding in Southwest side high schools has gone unrecognized by CPS leaders and by many education activists for over a decade. Dyatt is the second highest on the list with 93% of assigned students choosing not to attend. 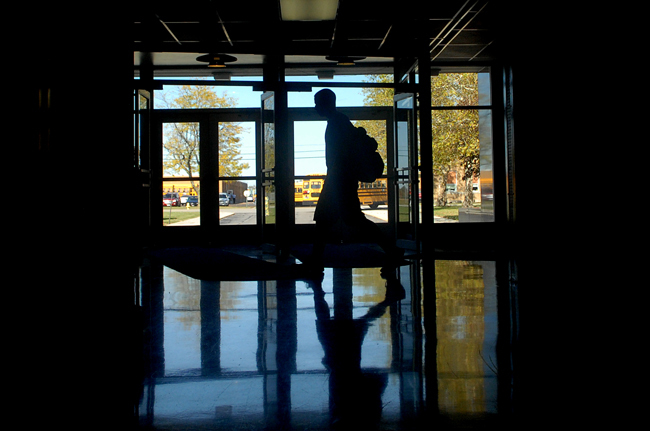 Well, that school is getting phased out, so students don’t have a choice—they can’t go there. Clemente in Humboldt Park has 81% of the neighborhood students choosing not to attend. In 2010, Clemente’s zip code of 60622 had about 1,700 teens. This is a big drop from 2000 when there where about 4,500. When I student taught there in 1995, Clemente was full of students. Here’s a conversation piece that has not been incorporated into education reporting sufficiently: the effect of gentrification on schools. Condos inClemente’s attendance boundaries create few residential options for low-income and middle-class families who historically lived in this community. The only choice these families and teens face, too often, is to relocate. They’re better off enrolling in a school that’s easier to get to if or when they move. So, according to the CPS data, could almost 1900 of Humboldt Park and Logan Square students be attending schools of choice? If they’re teens who belong to the wealthier families gentrifying the neighborhoods, they’re likely not going to Clemente. Let’s face it—these families generally don’t choose their neighborhood high school. And if the low-income and middle-class families who found a way to stay in neighborhoods where the median home sale price is now $299,000 or $297,000, then good for them! If higher-income, more privileged, mostly white families can choose to gentrify these communities, the low- and middle-income families who survive in Clemente’s attendance area should be able to choose where to go to high school. The enrollment prospects for Clemente don’t look good either. Fifty-eight percent of the homes in Humboldt Park now do not have kids. Washington High School, located in South Chicago, has about 2,000 potential students living in its attendance area. About 1,500 of these students attend that school (about 200 are from outside the attendance area). About 700 who are supposed to attend Washington do not. Despite its economic struggles, this community has maintained a strong history of Mexican families since the early 1900s. Families who live there now have a 3rd, 4th, possibly even 5th generation legacy. The longer our families stay grounded in their communities, the better able they are to make more-informed decisions about their education. Possibly, many of the 728 students going somewhere else have families who maneuvered through the selective-enrollment or charter-school application process. I know a good number of South Chicago students attended the selective-enrollment high where I taught. Still, something keeps 65% of the neighborhood students enrolling at Washington. Sounds like a good news story to me. The risk when education reporters provide information such as neighborhood enrollment data without a context, without a story, is that people’s gut reactions contribute to the miseducation about Chicago Public Schools. We fault the neighborhood schools themselves. We cite violence in neighborhoods. While these may be influential factors, the reality is that our city changed. We no longer have families establishing themselves solidly in neighborhoods for a generation or more. We also have families who will not settle—and who should not settle—for the education option closest to their front door. The CPS statistics released by WBEZ show that Chicago students and families are making school choices. They deserve to. Families should only send their students to their neighborhood high school if they choose to. If they want other education options, a lottery system should determine who gets the open seats neighborhood families choose not to fill. Should education activists accept that school choice is happening in our high schools based on the data released by WBEZ?